PIDX provides a global forum for delivering the process, information and technology standards that facilitates seamless, efficient, electronic business within the oil and natural gas industry and its trading community. The SEEBURGER team recently attended the conference in Houston on October 16th and 17th. To reduce costs and concentrate on the core business and core competences most companies look into cloud solutions as they offer faster implementation times, lower risks of operating the environment and lower costs from an IT investment perspective. Cloud solutions usually also offer more modern architecture to integrate with other solutions as they are designed to globally interact with other solutions. The industry sees a variety of new applications and solutions that are specialized to cover certain needs like analytics solutions for predictive maintenance or EHS (environment, health and safety) needs or billing solutions or ticketing solutions. As in other industries like the automotive industry where it happened many years ago Robotics and Machine Learning (ML) will help to build the digital oil field. Robotics will help to perform human tasks with less errors, higher performance and 24/7. Machine learning will help to use existing data to identify risks or chances and use them to predict events or success/loss e.g. Identify where to place wells and determine how they will perform. This will also be used to do fault detection, for oil-in water prediction models, prediction of gas break-through, detection of installation errors and there are many more use cases. Overall the industry sees that they have to bring together their existing data and to digitalize their existing paper information to optimize and speed up their processes and use the data to reduce risks while increasing performance and security. As discussed during the event, some companies see a 40% increase of APIs in the next 4-5 years. Beside this the existence of dashboards and mobile apps will increase. Data collection and processing become key factors. Advanced analytics and data science as machine learning and real-time streaming are demanding data access as well. Every company becomes a data-driven company and requires cross-functional data integration with integration services for applications, partners and solutions. The digital platform will become the enabler for all upcoming products and ideas to secure the success of each company in the industry. The industry knows that they are not completely different and that there is big need to be more interoperable throughout the different companies, partners and processes. They try to avoid to invent the wheel several times in parallel. That’s why standards like PIDX are highly appreciated and needed. Standards will become even more relevant with all the upcoming topics like cloud, robotics, machine learning. Using the digital platform the interoperability and standardization will become a key success factor. Standardized interfaces and formats will help to leverage that. This will result in faster implementation time and can increase the return on investment. This will also reduce the onboarding time for new partners. As systems and technologies are changing one of the most important success factors is to prepare the whole organization, and especially all involved staff. Change management programs, technology events within the company, workshops and roadshows help to create understanding and also support for new technologies and solutions. In relation to the above mentioned areas, to be able to innovate around existing and new digital initiatives it is now even more important that IT and business teams are closely working together, making sure of the right level of knowledge and culture is available at the right time. Accepting that there will be a cultural change is one of the first steps into the digital decade. Iniciatives to make sure that all involved people are “on board” will ensure this will become a success to the industry. The industry becomes more digital and prepares right now for the upcoming challenges, including culture and technology changes. SEEBURGER can help enable this using our agile and scalable platform. 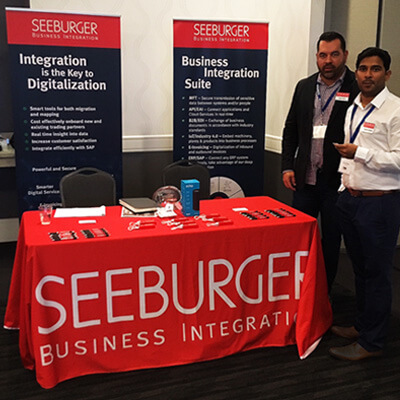 The SEEBURGER Business Integration Suite (BIS) helps to faster onboard new solutions and partners while reducing onboarding times and costs. SEEBURGER fulfills the standardization needs for PIDX and is capable of covering upcoming needs for digital services and APIs using REST or JSON webservices. The solutions are available on-prem, in the cloud and as hybrid solutions and together with the SEEBURGER professional services team and agile methodology, we help you go to market fast. Kurt Thomas, Sales Representative, is responsible for account development and management in North America. 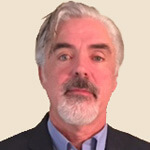 Kurt has more than 25 years’ experience working with energy and utility companies providing solutions for business integration and digital transformation. His areas of experience include EAI, Data Integration, Application Development, Data Quality, Portal, B2B and engineered systems. Prior to working for SEEBURGER, Kurt was in sales roles for some of the largest IT software companies in the world including IBM, Oracle and Microsoft.